In a nutshell, the way financial institutions (Big Bank) make their money is by knowing more than the other guy (that would be you). They will famously say that their priority is to serve their customers, and that capitalism depends upon them for the efficient allocation of capital. Also, that they are all in favor of shining the light of day on their operations. A better characterization of Big Bank’s approach to transparency and customer service is found in The Hitchhiker’s Guide to the Galaxy. 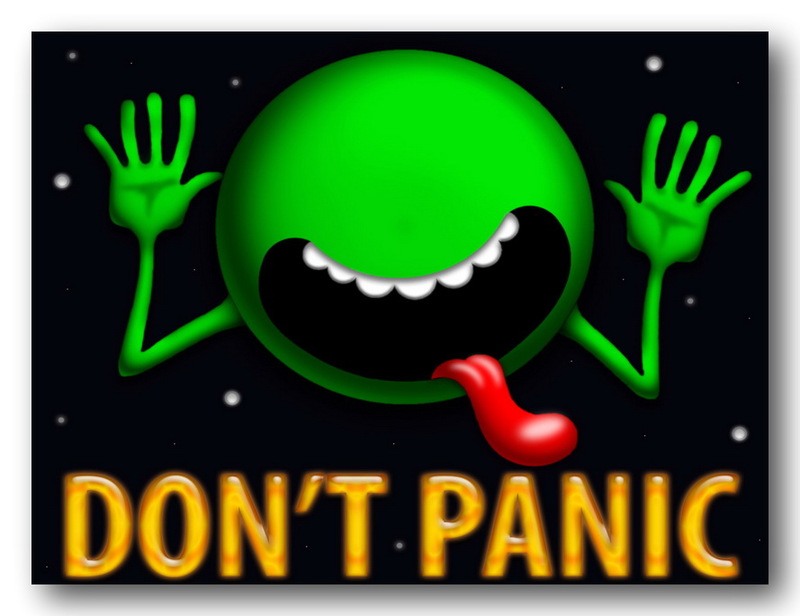 In The Hitchhiker’s Guide to the Galaxy, a notice ordering the demolition of someone’s house is found “on display” in a lightless, stairless cellar, in the bottom of a locked filing cabinet, in a disused lavatory, with a sign on the door saying “Beware of the leopard”. Currently, the only way to trade many derivatives is to call up various dealers and ask for the price at which they are willing to buy or sell. The securities dealer profits from the difference between the prices at which it buys from one party and sells to another. Investors rarely, if ever, see details on the other side of the trade. Wall Street has signaled that it can live with a clearinghouse approach, but it is strongly opposed to exchange trading of derivatives, which would introduce price competition and lower the profits. But wait, it gets better. For those folks whose only connection with reality is the Adam Carolla podcast, here is an example of Big Bank’s service to customers and community. What’s not been noted is that as a hedge fund manager Paulson collects only (sic) 20% of the profits he generates for his investors, which means his investors made $5 billion dollars on that scam. What’s not been noted is that as a hedge fund manager Paulson pays income tax on his fees as capital gains, not ordinary income like us ordinary folks. This saves him approximately $200 million in taxes on that $1 billion income. What’s not been noted is that because these profits are capital gains to the investors also, neither Paulson nor his investors pay Medicare withholding of 1.45%, thus depriving Medicare of $102 million in payments. What’s not been noted is that in many instances hedge fund profits are collected off-shore and so can be immune from any US taxes. We don’t know that this is the case with Paulson’s fund, but just mention it as a possibility. Thank goodness we don’t depend on Big Bank for the Answer to the Ultimate Question of Life, the Universe, and Everything.